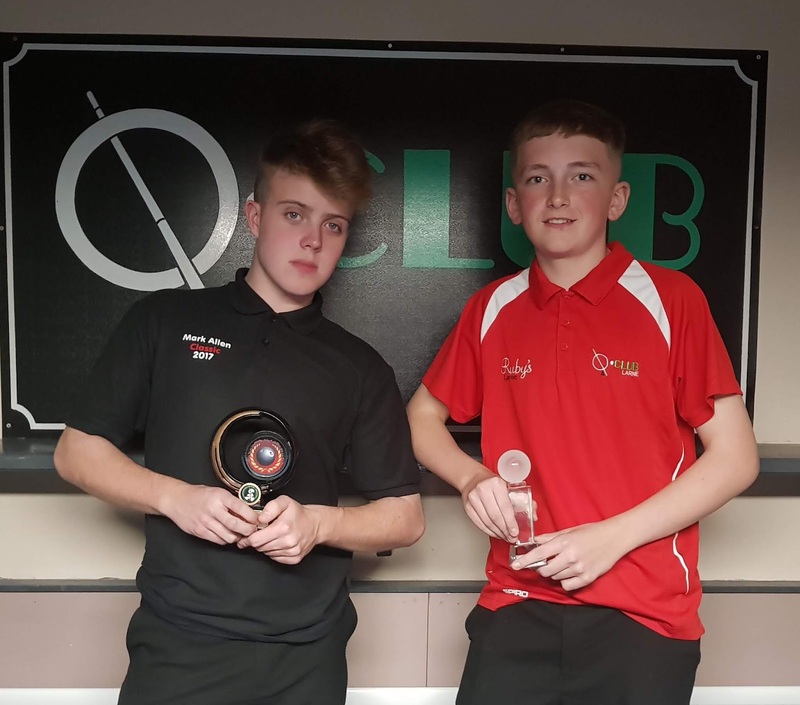 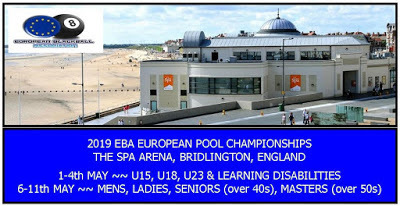 Congratulations to Tyler Hutchinson and Ryan Marcus who are the new NIPA Under 15 and Under 18 Individual Champions respectively. Both events were held on Sunday 7th October in the Q.Club, Larne. 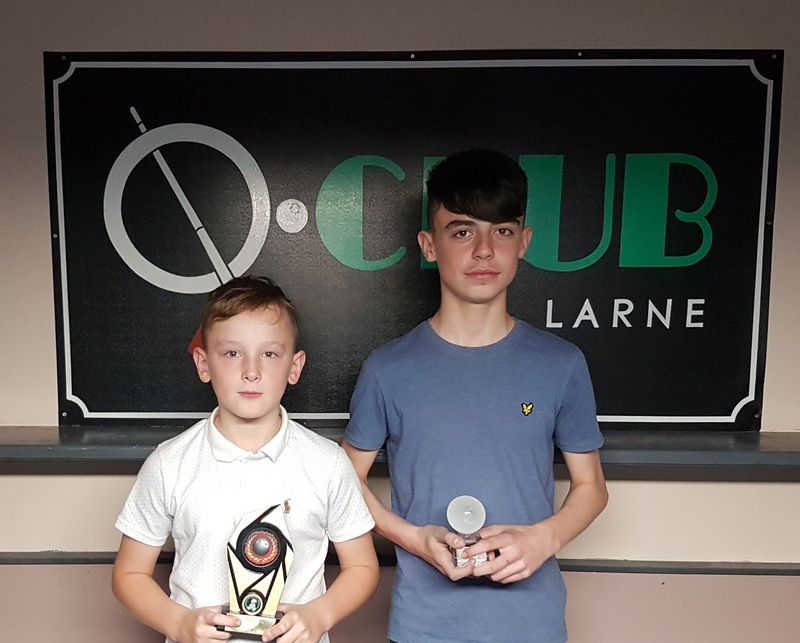 14 year old Tyler ousted fellow Coleraine cueist 11 year old Lewis Dougherty 7-2 in the final whilst 15 year old Ryan (Larne) defeated the talented Connor Marron, 16 (Ballymena) also by a 7-2 scoreline.